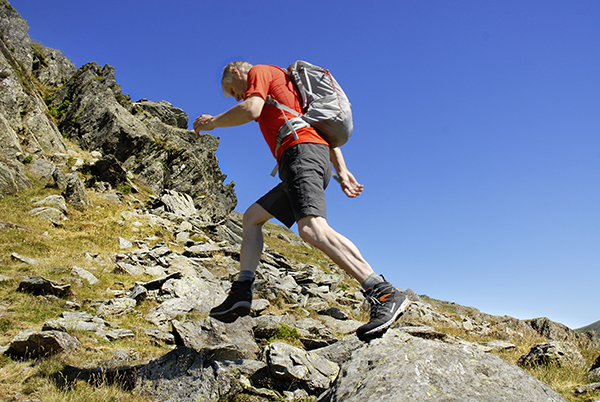 Trail shoes are popular in summer but do they have their limits when heading into the mountains? To find out, Trail headed into the heart of the Lake District with three pairs of trail shoes and three pairs of 3-season boots from across the price ranges. On paper, this lower-priced shoe has all the basic features needed for walking outdoors: a waterproof lining, some reinforcement in the toe box and heel cup, and an external synthetic toe cap and heel cup to protect these areas from abrasion. Underfoot there are some quite aggressive sole lugs, but you don’t get a substantial heel breast for added traction. Once on, this did not provide the closeness of fit of other shoes either. On rocky paths it was noticeable how little stiffness there was in the forefoot of the sole, as jagged rocks easily pressed through, leading to discomfort. So while the cushioning works well on level paths, as soon as the terrain becomes rocky, the drawbacks of this shoe are very noticeable. A well-established shoe that carries the Keen trademark design of a broad toe box with the sole rubber extending over the toe for more durability. The upper is leather and synthetic mesh, and there’s a waterproof lining to keep feet dry. You also get Cleansport NXT treatment to control odour. This shoe was noticeably wider than others, and they felt a little too wide once I got onto the rockier ground, as the edges tended to roll off smaller holds and my foot moved side to side within the shoe. The foot space was great on level paths though. The outsoles performed well on paths and there was enough stiffness to prevent rocks poking into my foot. Like others, a deep heel breast would give better grip. On the shelf these look like stunning boots, with a wider fit as standard, a full leather upper, a Gore-Tex lining and a Meindl Multigrip sole. First impressions are of great comfort, with a soft footbed and higher than average ankle cuff which together provide cushioning underfoot and gentle support and protection for the ankle on well-maintained paths and grassy fells. The sole unit was a surprise when we hit rockier ground though, as it flexed and twisted far more than other 3-season boots I’ve come to trust, and the softness meant I felt every rock through the flexible sole. The lugs were not as deep as I’d have liked, so grip was not ideal, especially on rock and scree. 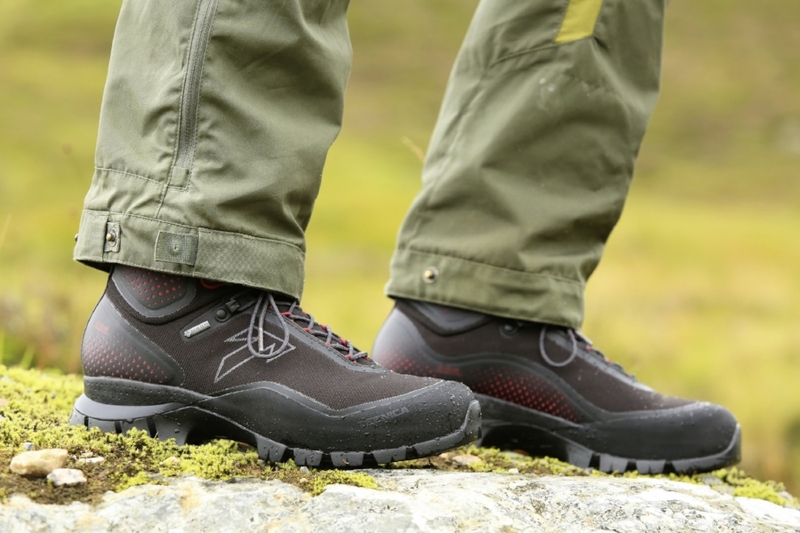 The Meran GTX would be ideal for moorland paths, forest tracks and boggier ground where its overall comfort and waterproof lining would excel – but on rockier ground I’d prefer more stiffness and deeper lugs. Is this low-priced leather boot the best alternative to shoes in the mountains – or is it worth paying more? For the price the Anatom Q2 has become a benchmark product, as it offers most of what hillwalkers need. This prized package includes a relatively stitch-free leather upper, with no mesh, which means durability is great. The toe box is well stiffened, and the ankle cuff provides enough support to protect the foot when stepping through rivers, crossing moorland bogs or rubbing your feet against rocks during scrambles or scree crossings. Underfoot there’s a nice deep set of well-spaced lugs, as well as a substantial heel breast, so this sole really does bite into softer ground better than shoes or boots with more shallow lugs. Importantly the sole is also well stiffened, so you can securely stand on jagged rocks without the boot flexing too much. But the sole still has enough flex to make walking on easier paths comfortable. In terms of fit, these fitted well. Overall it was a relief to get these on in place of the bendier shoes I was wearing. At this price you can’t expect perfection, and some higher-priced boots do offer better performance. While the Q2 fitted me and performed well on rocky scrambles, other boots have a closer and neater fit that allows far more precise placement. Some pricier boots also have a more controlled flex from toe to heel, so you get comfort for level paths but with a little more stiffness and support when scrambling. The boot tended to buckle and bend more than is ideal for scrambling, so while scrambles were still possible they would be easier in some pricier boots. The upper seems very durable, but the rands on higher priced boots would be more so. Superb performance for the price when used on a wide range of terrain – but spend more and you’ll get a lighter, more precise feel and fit. Does the extra precision of fit and increased performance on rock make this the best choice for hillwalkers for an all-round do-anything boot? Designed as an entry-level model, but one that offers a welcome step forward in performance compared to lower priced products, the Finder GV is built around a suede leather upper with Cordura synthetic materials and a Gore-Tex waterproof lining. This made it a great boot to step straight into as the material slowly loosened to fit my foot shape. Underfoot there is a very good sole unit with deep lugs and a substantial heel breast to provide grip. On the foot this felt quite neat and precise, with a solid heel grip and a great feel at the toe that was ideal for scrambling. The sole flexed enough to make walking on easier ground comfortable, but also provided all the support I needed over rockier ground. It was also nice to see a boot designed for women without the requisite pink flashes to prove it! The upper is a mix of suede leather and Cordura with minimal stitching, but paying more would get an upper with a bonded rather than stitched construction for no seams, while a one-piece leather upper would be even more durable. Also the rubber rands on higher priced boots would be even more durable. The precision of fit was great, but you can get boots that offer even more precise foot placement when scrambling. The sole stiffness was superb, but pricier boots might have stiffer soles that offer an even smoother role for the optimum in toe to heel comfort when walking. These are all minor niggles and only come into play if you are going to be out on the rockier hills regularly as for most hillwalkers it is hard to justify paying more. This is a great boot for sure, but pay more and you could get even more comfort and precision. This all-rounder is ideal for most walkers, but if you can afford to pay more then even better performance can be found. Can the best shoes compare to a boot for a wide range of terrain... or should they stick to what they do best? I can see why this is a popular shoe with outdoor instructors and climbers, as it’s designed for technical approach routes to crags, such as scrambles and rockier paths – and it was certainly comfortable enough to be worn all day. The good-looking upper is suede leather, but without a Gore-Tex waterproof lining I had to be careful where I stepped. The fit is neat and precise, with lacing that extends right to the toe keeping my foot secure, and there’s good cushioning underfoot, so my feet remained comfy, even during the long descent at the end of the day. Even without huge lugs or a defined heel breast, grip was assured as we descended in the rain down a man-made stone pitched path. But this shoe really stood out from the crowd when scrambling, with great sole stiffness in the forefoot and toe area. I’d certainly choose these, rather than any boot I own, for scrambling up reasonably difficult rock routes. Although my feet were dry on Great Gable, for sustained walking on wet days in the hills boots with a high ankle cuff and a Gore-Tex lining will keep feet drier and more comfortable for longer. And when crossing steep scree, I needed far more support than a shoe can offer, and I was pleased to have the option of a pair of boots to swap into at such times. While the sole was great for scrambling over rock, the shallow lugs and absence of a heel breast would make descending wet grass and boggier paths quite dicey. These are great shoes for what they are intended for, but are an expensive luxury for footwear that’s not ideal on all mountain conditions. Boots will always have their place for big mountain days where you’ll meet a wider range of terrain. 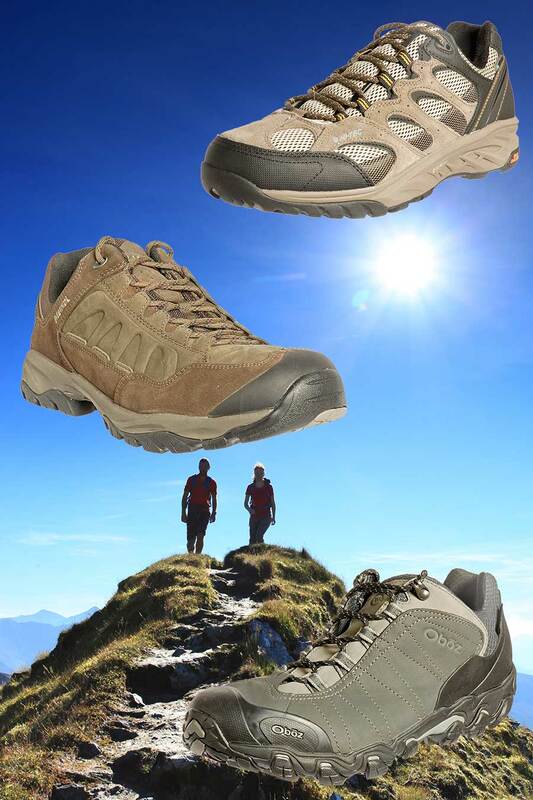 Ideal for scrambling over rock and very comfortable on rocky paths, but for a wider range of terrain other shoes and boots have real benefits. No boot is worth having if it doesn’t fit your feet properly. The inside of the boot should be around 13-15mm longer than your foot, which you can gauge by putting on the boot without the laces tightened up and then placing your forefinger down the inside of the boot at the heel. The upper should be snug and comfortable across the foot. Better outdoor stores will measure your feet and match you to the correct footwear. The ankle cuff helps prevent mud and grit from entering the boot. It also protects the ankle against scrapes on rocks. Stiffness in the ankle cuff reduces the strain on the ankle on slopes and scrambling by adding extra support, which makes it less tiring to wear on rockier ground or snow. But on easier ground, smooth paths and moorland, ankle support is less important. Some also prefer the freedom and easier ankle movement of boots with lower or softer ankle cuffs. If you want your boots to last as long as possible, look for uppers with minimal stitching and a rubber rand at the toe box. For maximum durability look for a rubber rand that encloses the whole boot. Durable designs are most important for those regularly heading out onto rockier ground and ice-covered mountains, but less important if you walk less often in the hills or tend to stick to paths or moorland walks. Not all boots are designed to be used with crampons, due to the stiffness of the sole and flexibility of the upper. Crampons are not generally recommended for 3-season boots, but flexible crampons rated as C1 can be fitted to 3-4 season boots, while stiffer crampons rated as C2 can be fitted to 4-season boots. Grab the boot by the toe and heel and bend the toe towards the heel, then twist the toe while holding the heel stationary. The harder it is to bend the boot in these two directions, the stiffer the midsole is and the better the boot will perform on snow and ice, and be compatible with crampons. Deep, widely-spaced lugs will bite into soft mud and snow without clogging, while also providing many years of wear before they are too shallow to give a good grip on soft ground. A heel breast between the forefoot lugs and heel of the sole adds valuable braking power on descents. This is a very well-priced boot for what you get, and it’s also lighter than others. The upper is 2.2-2.4mm nubuck leather with a Gore-Tex waterproof lining, and this is protected by a full rubber rand for more durability. 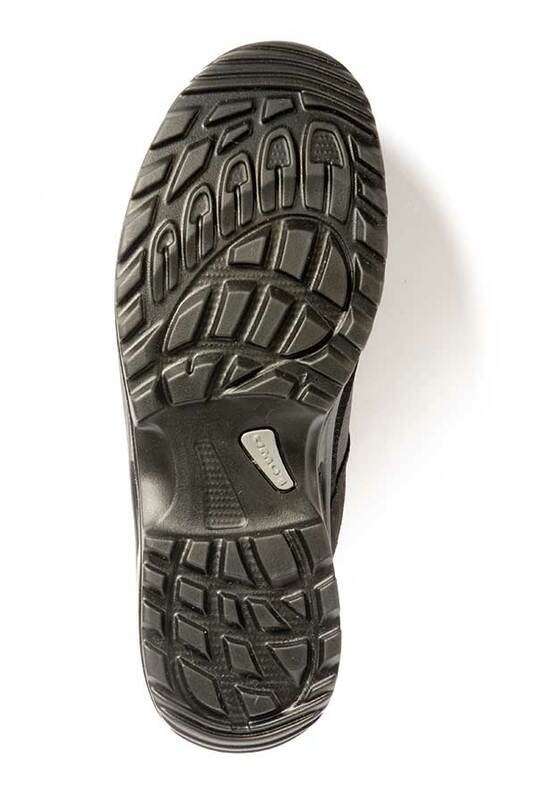 Underfoot you get a Vibram sole unit with deep, well- spaced lugs and a deep heel breast for grip in soft terrain. Sole stiffness is also good both laterally and toe-to-heel, so this makes the boot great for scrambles and edging on snow. The ankle cuff is slightly softer than some other boots, so you get slightly more comfort when walking below the snowline than stiffer boots. So all that for less cash and less weight is pretty impressive. Both the upper and ankle cuff are a little softer than on other boots, and this means your foot has to work a little harder on more uneven terrain, but of course this is not a drawback on easier ground. Some boots have a little less stitching on the upper and it is likely that they will be more durable in the long-term, so really hard users may benefit from looking elsewhere. The toe box is quite narrow and shallow, and while this fitted my narrow, pointy feet well, and felt great for scrambling, those with wider feet may feel this is too restrictive. A relatively low-weight and low-priced boot that offers great 3-4 season performance, with only small benefits available to those that spend more. The size range and width fitting options set this boot apart from many, so this is a great option if you are struggling with fit. It’s a classic design using 3mm-thick leather that is virtually stitch-free, so there is little chance of water getting in or abrasion having too much impact. However, you do also get a Sympatex waterproof lining to manage any leaks. The outsole sports an exceptionally deep set of lugs and towering heel breast, making this ideal for getting grip in scree, snow or mud. 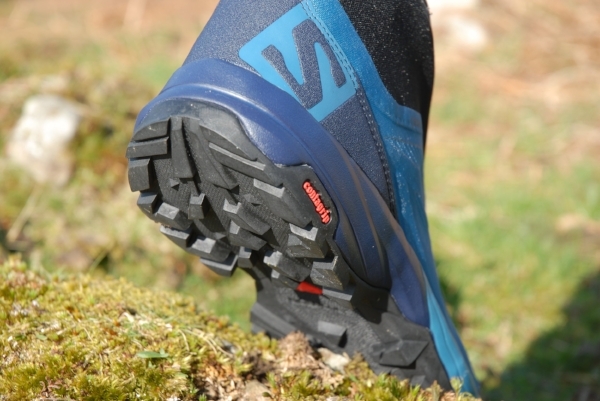 The sole is well stiffened too, so again it is great on more challenging terrain. To allow easier walking the toe does flex more easily than some. There is no women’s version, although the size range and width options mean there is a good chance this will fit many women. You don’t get a full rubber rand, so really hard users may prefer others for even more durability. Although the weight is similar to others, this does feel a little less precise on the foot when scrambling, and the foot feels further from the holds too, so others are nicer for delicate footwork. That slightly soft toe flex also means this is not quite as good as others for edging on snow or rock steps. A great boot for rough terrain though. The width fitting options and the stable performance on rough ground put this boot a step ahead, but others are better for more precise footwork. Designed with a wide last, so it should fit those with wider feet better than some other designs. The boot features a very robust Hydrobloc waxed full grain leather upper, which offers plenty of durability and weather protection. You also get a Gore-Tex waterproof lining and a wide rubber rand for even more protection. The outsole is a Vibram unit with very deep and widely-spaced lugs that are great for biting into soft ground. 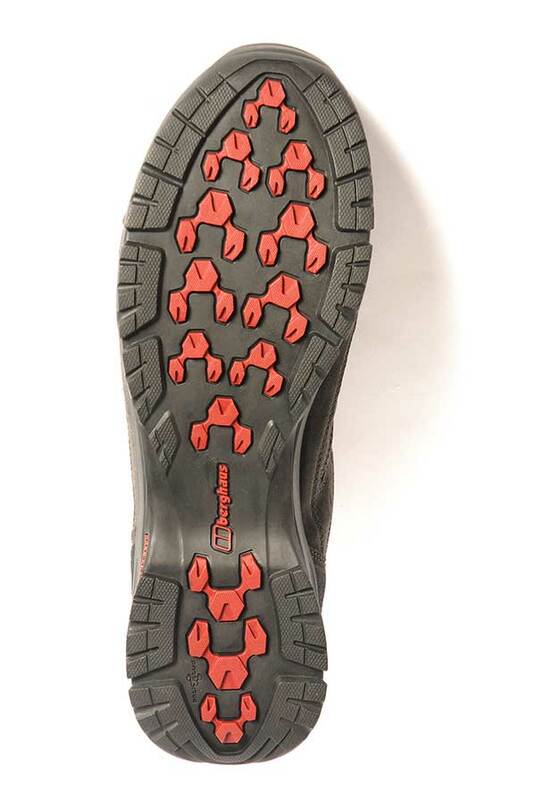 Lateral stiffness of the sole is good, making this great for scrambles, scree and edging on snow. But you also get a little more softness during forward flexing, which will suit those looking for more comfort below the snowline. That softer forward flex means you have to work a little harder on scrambles or snow slopes than slightly stiffer and more supportive boots. Also the forefoot and toe don’t feel quite as precise as some other models, so while good for easier scrambles, others are nicer when the holds need a little more careful foot placement. It is slightly heavier than some boots that are stiffer, and when this is added to the other drawbacks it just feels slightly less precise. There is no women’s version either. A great mountain walking and backpacking boot for rough terrain and easier snow slopes, but others are slightly better on more technical ground. For its 80th anniversary, Scarpa has produced the ninth version of the SL. This latest makeover brings a closer heel hold and a leather lining inside the ankle cuff, as well as some weight shaving. The weight reduction comes from the use of a new mono-density outsole for more cushioning underfoot. The upper is still a supportive leather design, but with little extra forward flex at the top of the ankle cuff thanks to two fingers of leather rather than a solid panel. Lacing eyelets have been upgraded too. You still get great stiffness and support for years of durability in this boot. Female hillwalkers still have to look for other Scarpa boots to meet their B1 needs, such as the Marmolada Pro at £235, which may favour some users as it does have a waterproof lining, which is something the Scarpa SL cannot claim. However leaks are few, as there is barely a stitch to allow water through and if treated, the thick leather will fend off water easily. The weight has come down but there are still lighter boots, though those generally don’t provide the durability or support of the SL. Others can be yours for less cash, but they don’t always offer the benefits of the SL. This is lighter than other boots with its support, but you still get plenty of stiffness in the sole to allow it to perform really well when scrambling or edging on snow slopes. The ankle cuff is a little more supportive than others too, so again this is great when tackling slopes or scrambling up rock. The very deep lugs are well spaced to bite into softer ground, gravel and scree. The fit is slightly unusual as it is quite broad in the forefoot and very close around the heel and ankle cuff, and then you get a choice of footbeds to refine the volume. The upper has a full rubber rand for protection and a Gore-Tex waterproof lining. The upper has some exposed seams and softer materials. This may be the weak point in the design if this boot is used too much on the kind of rough terrain on which it excels in many other ways. The ankle cuff is also higher than others, which makes it superb for more technical ground but when walking up snowy Munros you may value just a little more freedom of movement in this area. The upper materials tend to bunch up at the lower eyelets and this area may more easily allow grit and abrasion to take their toll. These are all tiny points but at this price point they are worth considering. A lighter 3-4 season boot with a more supportive ankle cuff, though durability of the upper could be a potential drawback for harder users. Could this world-first heat-moulded walking boot be fit perfection? Imagine designing your ideal boot. Most importantly it would be moulded to fit your foot to perfection, right? Tecnica, better known in snow sport circles, has taken exactly that concept and using some interesting technologies from its ski boot design, applied them to its new high-end 3-season walking boot, the Forge. Although these boots are anatomically moulded in men- and women-specific designs, and can be worn straight out of the box, they are only available in four selected specialist retailers, where a 20-minute customisation process takes place to personalise the boot to your foot. The Forge therefore takes a firm stride away from internet shopping, and brings footwear fitting firmly back to the boot shop. My fitting of the new Forge took place at Whalley Warm and Dry in Lancashire. My last visit to Whalley was slightly disastrous in terms of my role as boot tester, as I was left never wanting to wear anything on my feet other than the specially selected boots and custom corrective insoles I was fitted with. Having had my walking comfort revolutionised by properly-fitting footwear, I had become rather evangelical about the subject. And so I was intrigued as to this new heat-moulding technology. With feet measured in every direction, the heat moulding took place in two phases – first the insoles, then the boots themselves. Each were warmed to a set temperature, and squeezed into shape around my foot by an enormous blow-up leg cast. The procedure feels somewhere in-between a giant blood pressure test and an inflating space suit. The boots look sleek and expensive. For 3-season boots they have a rigid robust feel in the hand, with deep aggressive lugs and heel breast on the sole. The cuff of the boot is an unusual wrap-around design which sits flat against the ankle to reduce pressure points from a join with the tongue, and self-locking Kevlar lace loops replace the traditional metal hooks. Out on the hill they have a surprising amount of flex in the sole given how stiff they feel in the hand. Fully moulded, the boot feels super snug around the foot, and the insole has robust arch support. This makes the boot feel ultra-supportive on uneven ground. A slight hotspot on my ankle was easily stretched out by Whalley’s boot fitter, making the boots comfortable to walk in for long periods of time. On first test, the lightness, the flexibility, the comfort and the grippiness of the sole combined to make this boot a hot contender for a permanent place on my shoe rack and a first choice for 3-season walking. There are limitations though... The ‘thermo-formable’ material is limited to the areas around the footbed, heel, ankle and arch. While that sounds extensive with the adjustability of lacing at the forefoot, my flat-as-a-pancake feet meant that there was still a little more room around the top than the boot fitter would have liked. Also, while the footbed is fantastically supportive and fits my foot like a glove, it is not corrective. So if like me you have a few niggles that require a custom footbed, you may find that you still need to wear those in the Forge. Finally, boots mould to your feet as you wear them, so what the Forge basically provides is a fit straight out of the box that would usually take many months to wear in. If the boot is not suitable for your foot shape to begin with, these will not be the boots for you. The great thing about the Forge is that their customisation allows them to fit a wider range of foot shapes perfectly. It also entices you into a specialist boot fitting store in the first place – who will ensure you get the best boot for your buck. For the hefty price tag you get a quality, lightweight boot that’s great for 3-season walking. But the main benefit here is the expertise you will receive from a professional boot fitter, who will ensure the boot is right for you and fitted as close to perfection as is possible. Is the striking design of the outer matched by a striking performance when this Lite version from the Scarpa Ribelle family hits the hills? The norms of mountaineering boot design were kicked off the cliff edge in 2017 when Scarpa released the Ribelle Mountain Tech OD. This stiff 4-season, B2-rated boot featured a striking design with an internal Sock-Fit integrated gaiter for fast and lightweight alpine use. Having shaken up the market, Scarpa has now released the Ribelle Lite, with a slightly more conventional ankle cuff and a softer sole flex but still sporting many of the benefits of its Ribelle stablemate. You cannot talk about this boot without first talking about the style, as this is no ordinary blue, grey or brown mountain boot. 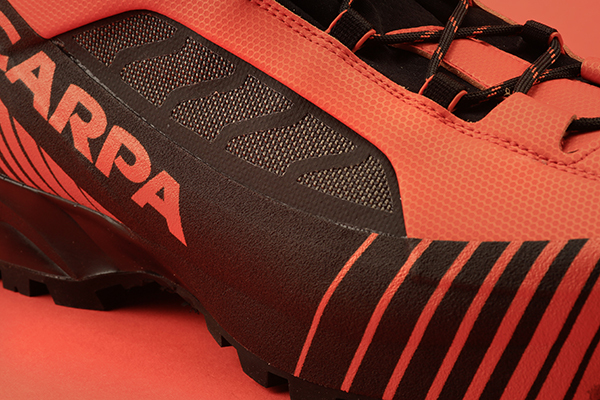 This is a stunning orange boot that will turn heads on the hill. The striking upper is made from synthetic materials with an impressively high tech sounding ‘Exoskeleton, TPU Micro-Film, ergonomic welded cage’, which is enough to send you searching for a dictionary and a microscope. But the important bit is that the upper is smooth, without too many seams, and there is a TPU rand as well to improve abrasion-resistance further. Inside you get an Outdry waterproof breathable laminate which is bonded directly to the inside of the upper materials, meaning there is no need for seam sealing. The result is that water cannot gather in the gap between the outer and the waterproof lining, as there is no gap, so this whole construction method improves breathability, keeps weight down and improves drying times. The only question perhaps is will this construction be as durable as a heavier leather design? Underfoot the Vibram sole unit has deep, well-spaced lugs, and is well stiffened. Scarpa says this can be used with C2-rated crampons but it also says it has a softer flex than other B2/C2-rated boots, so it is rated as something like a B1+ or B1.5, being a softer flex than most 4-season boots and is stiffer than most 3-4 season boots. 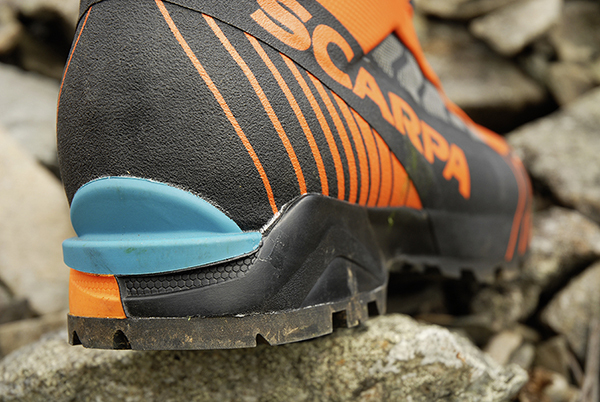 Scarpa describes the Ribelle Lite OD as ideal for technical trekking, via ferrata and alpinism. So it should be ideal for scrambling and walking over rockier British mountains from autumn through to spring when there can be a mix of snow and ice, rock and scree, or mud and grass underfoot. I took the Scarpa Ribelle Lite OD to the Lake District for some scrambling between the popular lines, and made my own way off-path to the tops. Instantly I noticed how spacious the forefoot and toe box was, something not normally associated with via ferrata-orientated designs. But while the forefoot did feel spacious, the heel area was far closer fitting. There was also a gentle flex underfoot that allowed a fairly natural gait when walking for this type of boot. The deep lugs clawed successfully at mud but importantly the sole flex was great when scrambling over rock. The sole seems to grip the rock well and it was easy to feel where my big toe was to allow a good degree of precision when looking for toe holds. The sole flex also allowed me to use the flat of the forefoot, rather than having to rely on an edge when scrambling. Of course this flex does mean that on more technical ground the toe will roll off smaller holds, but for general scrambling and walking on easier snow slopes the degree of flex feels great. The ankle cuff will flex forward just enough to allow easy scrambling and walking, yet magically also has enough support to make scrambling and traversing slopes easy on the ankle muscles. Overall I felt the ankle cuff was ideal for the sort of terrain this boot would be used for by hill and mountain walkers in the UK when scrambling up a rocky ridge or tramping across a snow slope. At 1548g (size 46) these are very light for the stiffness and performance, with most other boots in this category weighing between 1700g and 2100g for this size. The price is a little steeper than others though, with many being between £210 and £265, so you are paying for the low weight. Heavier boots may be more durable for really hard users, but only time will tell. These are superb 3-4 season boots for the British mountains, with both weight and performance being ideal for those who want to mix easy scrambling over rock with walking over easier snow slopes in crampons. Bring on the hard winter! With its combination of new standards of construction, design and performance, the Scarpa Ribelle Lite OD marks a step-change in mountain footwear that will be welcomed by anyone in search of snowy walks or rock scrambles to the tops. Designed to be lightweight and comfortable in the ankle cuff while maintaining support, could AKU’s new boot set a new standard for hillwalking? Year-on-year boots are getting lighter and more comfortable, and 2018 has seen a surge in development, with many brands sporting more flexible ankle cuff designs for increased comfort. But AKU’s Tengu Lite GTX has taken this trend a step further than most by not only increasing ankle cuff flexibility and comfort but by also building in the support and sole grip that is needed to make light work of walking over everything from moorland to mountain summits. Could this be one of the best boots for hillwalking this year? Ever since people have walked the hills there has been a quest to make footwear lighter and more comfortable, while maintaining all the performance needed to remain safe. This has been a tough challenge, which at times has resulted in footwear that cannot keep a good grip, or that puts too much strain on the foot. Or heavy, stiff boots that restrict movement to such a degree that they take all the joy out of hillwalking. Between these extremes is a small band of boots that meet hillwalkers’ needs well, and the AKU’s Tengu Lite GTX could be the latest incumbent. Firstly, AKU has designed the Tengu Lite GTX to be very lightweight, and at 1364g (size 11 pair) they are certainly that. This factor alone places these boots in a league above many typical boots designed for hillwalking. Secondly, the Gore-Tex lined elastic sock design means the tongue and ankle cuff are able to hug the foot comfortably, while also being flexible enough to allow plenty of freedom of movement. But the winning feature has to be the external fingers of stiffer material that wrap around the ankle cuff from the heel to provide support. The result is comfort in the ankle, with excellent forward flex and good lateral stability support for rockier ground. However, there’s more to this boot than the ankle cuff, as you also get a very practical sole unit with deep, well-spaced lugs and a good heel breast so you can keep a solid grip on softer terrain. There is also very good stiffness both toe-to-heel and laterally, so the boot doesn’t buckle underfoot when you cross rockier ground. And if that isn’t enough, there’s also lots of cushioning in the sole, so walking over rocky paths is very comfortable even when the surface is rock hard. Finally AKU’s Elica Natural Stride System provides plenty of support, to ensure your foot is able to roll through each step in comfort. I’ve been taking this boot over the rockier parts of the Lakeland Fells and have found it to be outstanding from the very first wear. It is the combination of features that sets this boot apart, as you get all that great ankle cuff comfort and support you need, plus all that sole performance. This adds up to being able to effortlessly and comfortably walk along roads and up stone-clad paths to the foot of the hills, but then cross scree and scramble up rocks with precision of foot placement and safety before traversing boggier ground later in the day. There are drawbacks though, as these boots only come in a unisex design, so while they have a size range of 3 to 13, women may find gender-specific designs fit better. Also the upper is made of fabric and suede, so while well designed for rockier ground in terms of support, I would be surprised if this upper would be as durable as a single-piece leather design. That said, you do get a rubber rand at least and, of course, a leather boot would be heavier and also carry a higher price tag. The price itself is up there with the best 3-season boots, so it is not cheap, but it does sit quite comfortably alongside its competitors. So for me this is a great boot that is at home on the British mountains. It would also be great for trekking and backpacking abroad in any situation when you want low weight, comfort and performance in one great boot... which surely means just about every hillwalk? A great new boot that combines a more flexible ankle cuff with great comfort and all the support and grip you need for a wide range of typical hillwalking and trekking situations both at home and abroad. This eye-popping design blurs the boundaries between shoes and boots... but how does it perform on the hill? As boots have become lighter and more flexible, while shoes have become stiffer and more supportive, it was inevitable that a collision of ideas was about to happen, and the result is the Salomon Outpath Pro GTX. This hybrid design takes the best of both worlds to create a shoe with a soft ankle cuff-gaiter, so it has the low weight and flexibility of a shoe with the ankle protection of a boot. Salomon has designed the Outpath Pro GTX for ‘fast hiking’ and ‘outdoor multi-function’ use, so it’s clearly destined to compete with lightweight trail shoes rather than heavier boots. This is very apparent when you unzip the gaiter to expose what’s under the bonnet, as inside you’ll find a fairly conventional trail shoe with normal laces and a normal shoe design around the heel cup. The main difference in this area is the tongue, as this is extended up to the ankle area. The ankle cuff-gaiter is welded to the shoe, so there are no seams to fray or leak, and it is made from a water-resistant stretch synthetic material which keeps out debris and light splashes. Everything below the black gaiter fabric is waterproof though, thanks to a Gore-Tex membrane, with welded seams to prevent fraying or leaking. The ankle cuff on a boot provides support, and in the Outpath Pro GTX the ankle cuff-gaiter has some stiffening fabric attached to the inside and outside. Once laced up you do get a little more support than a shoe in this area, which feels pretty good on relatively easy terrain. The gaiter closes with a water-resistant zip, while a chunky press-stud secures the closure. The ankle cuff-gaiter may look a little strange at first, but the stretchy design certainly makes these very comfortable shoes straight from the box. I took the Outpath Pro GTX over the Langdale fells in the Lake District and found they performed well on grassy paths and mud. 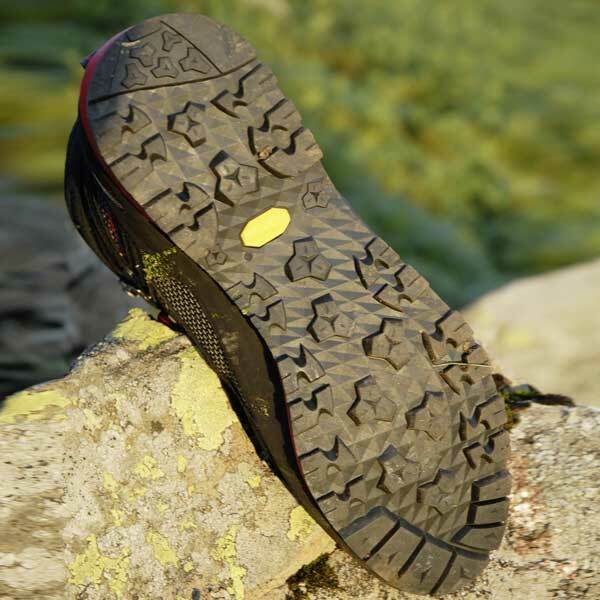 The sole unit’s well-spaced lugs bite easily into softer surfaces and the sole is also quite flexible, so again this is great on grass and mud. When the slopes steepened my feet had to work harder, as the sole flexes and twists between the toe and heel quite easily, and also the ankle cuff is not as supportive as a boot. Some people won’t mind this flexibility of course, but it does mean your feet have to work harder than if you were wearing a stiffer shoe or boot. As the ground gets rockier the flexibility of the sole becomes more apparent, with jagged rocks being felt quite easily through the sole compared to stiffer trail shoes and boots. But the heel cup is well-stiffened and there’s also some stiffening at the end of the toe box. The Outpath Pro GTX weighs 912g but you can get slightly stiffer and more supportive shoes around this weight, although they wouldn’t have the benefit of the gaiter. The price of £165 is similar to stiffer shoes of this quality but without the gaiter, so actually represents good value. You can get boots for this sort of price that are going to be more supportive and potentially more durable, but they will also be heavier and less responsive. There are pros and cons to the Outpath Pro GTX. On the right terrain they have real advantages. I’d use them for easier path terrain, when I’d normally wear shoes but want to keep the debris out. The benefits reduce as the challenges of the terrain increase. I like the attached gaiter, but I’d like to see it fitted to a shoe that has a little more support in the sole. Don’t be surprised if that’s exactly what you see next on the shelves. Trail shoes are lighter and more comfortable than boots, and most are a lower price too, which makes them ideal for walking and backpacking along good paths. But some can be taken on more challenging terrain while those described as ‘approach shoes’ are particularly good on rockier ground. At this price, you are getting the basics needed to walk comfortably along footpaths that are not too rough underfoot. The shoes are generally well-cushioned and quite flexible in the sole when flexed from toe to heel, as well as when twisted between the forefoot and heel. This makes them great for walking on level surfaces, but less suited to rougher terrain. The lugs on the sole will be relatively shallow, which again is fine for easier paths, but for more rugged ground deep lugs will offer more grip and longer-term wear. The upper may have more mesh for low weight and improved comfort, but it’s less likely to have any additional reinforcement – such as rubber rands, for example – to increase durability. Shoes in this price band offer more durability on rougher terrain and may use less mesh or have additional rubber rands. These shoes may also benefit from stiffening in the heel cup and toe box to make them more suitable for uneven or rockier ground. The sole unit will have a deeper set of well-spaced lugs and, hopefully, a heel breast to ensure better grip on softer ground. There may also be more stiffness in the sole to ensure that jagged rocks do not place too much pressure on the foot when traversing rockier ground. These shoes are ideal for those who want a little more performance and durability than is offered in the lowest price band. Optimum levels of performance and durability are available in this price band, making it a better bet for regular use. You’re likely to see more durable upper materials, along with rubber reinforcements, in this price bracket. The sole may be stiffened to improve performance on rockier ground and you may see even more pronounced lugs on the sole for better grip. More specialised products may include stiffer soles and sticky rubber for climbing over rocks. Some very lightweight products, using the latest tech, may also be available. The low price tag is instantly appealing, and you also get some good features. The shoe has a suede leather and mesh upper with a Dri-Tec waterproof lining. But you also get an i-shield treatment on the outside to repel water. The toe box and heel cup are reasonably stiffened, to support and protect the foot, which is good for uneven paths. Underfoot the sole lugs are reasonably deep and well-spaced for good grip, and there is some stiffness in the forefoot area of the sole to help resist pressure from jagged stones. There’s also a good wedge of cushioning under the heel to make walks on firm paths comfy. This shoe provides a slightly clumpy walking experience compared to higher-priced shoes that tend to contour to the foot and move more naturally as you walk. A deeper heel breast would be nice and, while the lugs are good, we’ve tried better. The sole is not as stiff as it could be and other shoes have less mesh on the upper and stiffer rubber reinforcement at the toe for more durability. 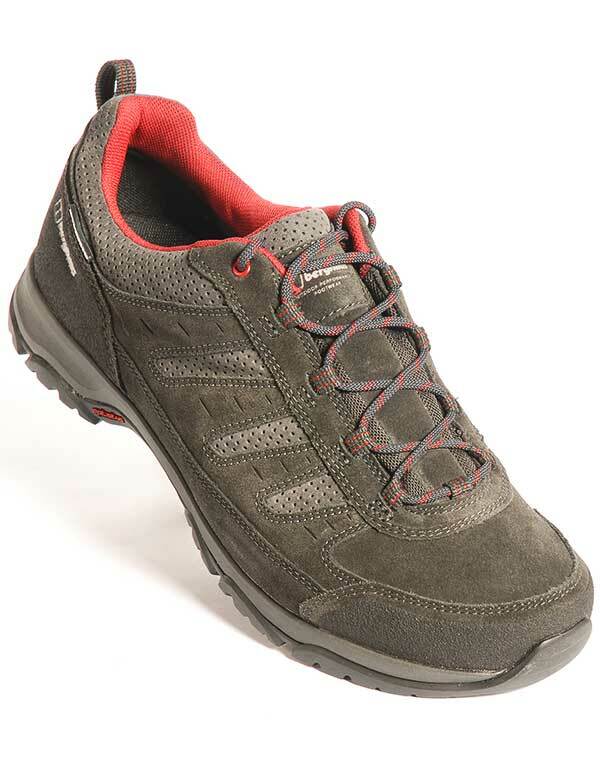 For those on tight budgets, this shoe is great for walks on valley and moorland paths. This is a low weight shoe at a relatively low price. The Pittards suede leather upper has perforations on the sides to increase breathability with some mesh around the tongue. An AQ waterproof breathable lining keeps your feet dry. There is some good stiffness in the heel cup and toe box to provide support and protection. The outsole uses well spaced lugs and there is a slight heel breast, so this all adds up to reasonable grip on muddy paths. Importantly, there is also enough stiffness in the sole to resist pressure from rocks. A good all-rounder. While the features are generally good for easier paths, other shoes offer even more benefits. Some shoes have deeper lugs on the sole for even better grip in mud and a more pronounced heel breast for improved breaking when descending. A dedicated approach shoe style is also better for scrambling. Others are more durable if they have a rubber rand or if they have less stitching. Of course all those benefits would add weight and cost though. A very good shoe for walking on general paths, but if the going gets too muddy or too rocky then others are better and more durable. This shoe is available in an exceptionally broad range of sizes. Plus, on the foot, the forefoot area is slightly more spacious than others, with a good fit at the heel. You also get a more durable shoe than most – a very robust upper, made from full-grain leather, with far less stitching than other shoes at this price and no open mesh. The sole rubber extends around the toe box for even more durability. Underfoot the lugs are reasonably deep and well-spaced to provide grip in softer ground. Inside there is a Keen Dry waterproof lining. In use this provides a comfortable walk. The sole is quite flexible, so on rockier ground it may not be as comfortable as a higher-priced shoe. Also while the lugs are quite good, you might want something more aggressive. A more pronounced heel breast to improve grip during descents would be ideal too. 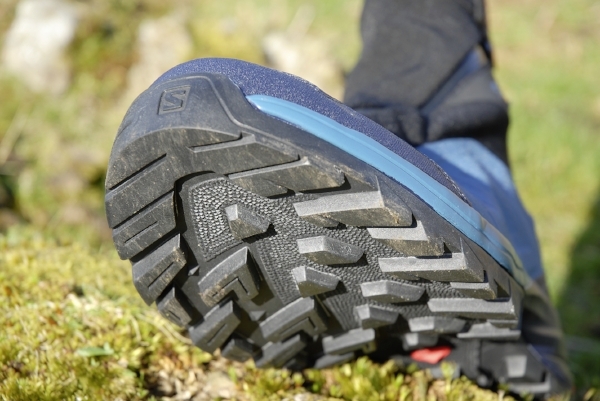 The sole is not the best at resisting pressure, so may not be ideal if you plan on walking over rockier ground. But on earth or grass paths it performs well. The spacious forefoot, durable design and decent sole lugs make this a good shoe for easier path walks. This well-priced shoe offers a good weight, as well as decent performance for walking on easier paths. It is built around a synthetic fabric upper, with suede overlays and a fairly spacious fit, to suit general walkers. Gore-Tex is used inside to keep the feet dry and the outsole is a Loren unit with a good heel breast and lugs that are fine for paths. You also get some stiffness in the forefoot to prevent pressure through to the foot on rocky paths. To provide more support and protection to the upper, the sole unit employs a Lowa Monowrap skeleton design that encloses the upper around the midfoot area. While this shoe is fine on level paths, that’s potentially its limit. The sole lugs are not as deep or as aggressive as they could be, so grip on grass slopes or mud is not top-notch. The upper is also quite soft at the toe box and heel, so performs better on more level paths, where its support is not challenged. There is also no rubber toe rand here – not great for rough terrain. A lower-priced, lightweight shoe that is great on level paths, but step onto slightly challenging terrain and its limitations become clear. The remarkable weight of this shoe sets it apart and, as it is designed for fast hiking, it has some other nice features too. Firstly, you get a Gore-Tex waterproof lining to keep your feet dry and this is protected by a ripstop synthetic fabric upper, with thermoplastic polyurethane (TPU) overlays and minimal stitching for durability. The heel cup and toe bumper are also slightly stiffened for use on uneven ground. And the sole is a Vibram Opti-stud design with well-spaced stud-like lugs. Finally, there is also some stiffness in the forefoot to prevent rocks pressing through the sole. The sole lugs are not as deep, nor as aggressive as in some other shoes, so it’s not the best for muddy ground. Also, while there is some stiffness in the sole, heel cup and toe box it could be even stiffer. There is also a little less cushioning underfoot than we’d like. But the absence of these little details is what helps reduce the weight of course. Annoyingly, there is no women’s version of this shoe, which is a real pity as it boasts some unique features. A great shoe if fast-hiking and lightness are your priorities. This tough shoe is great for rougher tracks where scrub and scree claw at your footwear, thanks to its suede leather and dense synthetic upper. But, importantly, you also get a very stiff rubber toe rand so you can kick through loose scree with comfort. You also get a B-Dry waterproof lining and the magic continues underfoot with great cushioning and a stiff sole that resists pressure. A very aggressive set of lugs, for biting into softer earth and mud, complete the package. The fit is precise and neat, to allow accurate foot placement on rockier ground, which means that, while it’s not the lightest shoe, it feels nimble. Sadly, there is no women’s option – the nearest equivalent is the £130 Bridger. Of course, you can get lighter shoes than the Firebrand and lower-priced options too, if you don’t need this level of performance. But it’s a great shoe for general walking and hard to find fault with, apart from personal preferences. A great shoe for backpacking over a range of paths and tracks, with reasonably heavy loads, where support and durability are key. This shoe is designed as an approach shoe, but has a few more general usage features in the mix too. You get a neat precise fit at the toe and a smooth climbing zone on the rubber sole. The sole itself is a Michelin Rock Tech unit with sticky OCX rubber for better grip on rock and a series of stud-like lugs for traction in softer earth. There is good cushioning at the heel and this extends under the toe, making it a good shoe for walking. The leather and synthetic upper has a Gore-Tex waterproof lining on the inside and a rubber rand for durability at the toe and heel. This is a good shoe for use on rock approaches and via ferrata routes, but its broader appeal, to general walkers, means that those in need of a dedicated approach shoe may prefer the neater performance at the toe of other shoes. General walking users may feel the toe is too restrictive and may want more wiggle room. The sole is great for rockier ground and via feratta, but if you are predominantly walking on softer ground, shoes with deeper lugs might be better. Great shoe for a mix of approach, via feratta use and walking. When this shoe was released last year it was our instant favourite for trail walking and it remains hard to beat. It's built around a great sole unit, with deep, well-spaced lugs that claw their way across the ground like tractor tyres. But you also get plenty of cushioning and enough stiffness to resist pressure and not to strain the foot too much over uneven ground. The upper is made from suede leather, with minimal stitching, and a firm rubber rand at the toe box and heel cup, for support and durability. Inside you get a B-Dry waterproof lining. It's neat and precise on the foot and superb on the trail. There is very little to fault here from the perspective of walking with a rucksack over valley, moor, hill and mountain terrain. It's not the lightest or the most flexible shoe, and not the best shoe you could find for scrambling up rocks or via ferrata, but then it's not supposed to be. 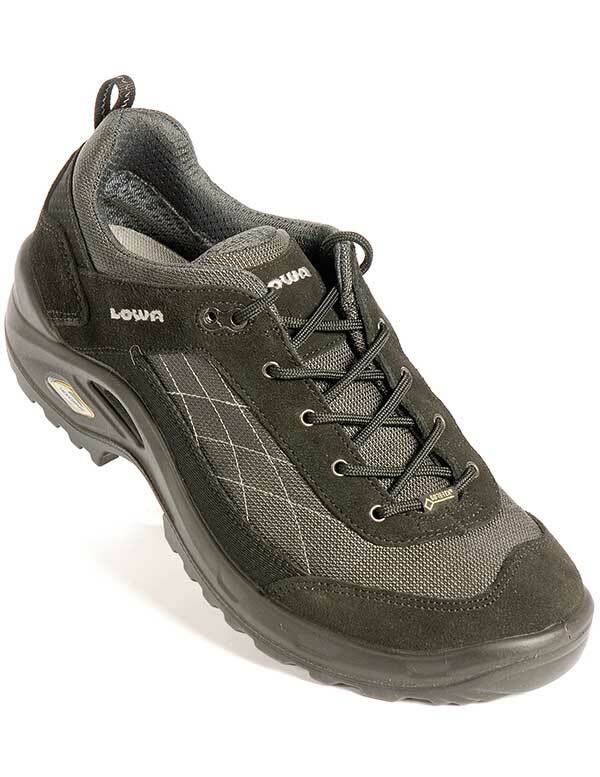 The Montera Low GTX is a versatile design that is good for general walking on valley paths and easier hill terrain. It has a Michelin Pulsar outsole, with a reasonably deep and aggressive set of lugs, and a good heel breast. The sole is reasonably stiff and fine for general walking on paths. The upper is a mix of suede, leather, synthetic fabric in the tongue and PU rand at the toe for durability. A Gore-Tex waterproof lining keeps the rain out and the fit is quite precise, so good enough for scrambling over rocks easily, if you need. The sole could do with a little more stiffness in the forefoot, as you can feel rocks through it. The upper also does not enjoy the full rubber rand or durability features other shoes offer, as there is lots of stitching - not great for rocky terrain. It's not ideal for scrambling or via ferrata as the toe is not particularly neat, so this is best kept as a general-purpose walking shoe. It could also do with more cushioning for long distance walks on hard surfaces. A general-purpose shoe that benefits from a deep and aggressive lug pattern and good durability. Is it worth paying more for a top quality 3-season boot? We reviewed boots with price tags from £175 to £250 to find what benefits they offer. To reduce weight and price of footwear the ankle cuff may be cut quite low in some boots. However, this can be a false economy, as a lower ankle cuff more easily allows water, mud and debris to enter the boot while also providing less ankle support to the foot, which means your foot has to work harder on more uneven ground. A traditional leather upper, made with minimal stitching, will last for many years if cared for well – and will probably outlast the grip on the sole. Conversely, an upper that is made of lots of synthetic fabric, mesh and thin strips of suede leather is unlikely to be as durable– due to extra stitching – and often tends to be slow drying. Grab the boot by the toe and heel and bend them together to test longitudinal stiffness, and then twist the sole to test lateral stiffness. A more flexible sole flex is better for comfort on level ground, while a stiffer sole flex is more comfortable on rockier ground and also allows a more precise use of small footholds when scrambling over rockier ground. To protect the foot from stray boulders, a stiffened toe box is important. You can test this by pressing the top of the area where your toes will be in the boot. To enhance durability on rockier ground, a rubber rand may be added at the toe. 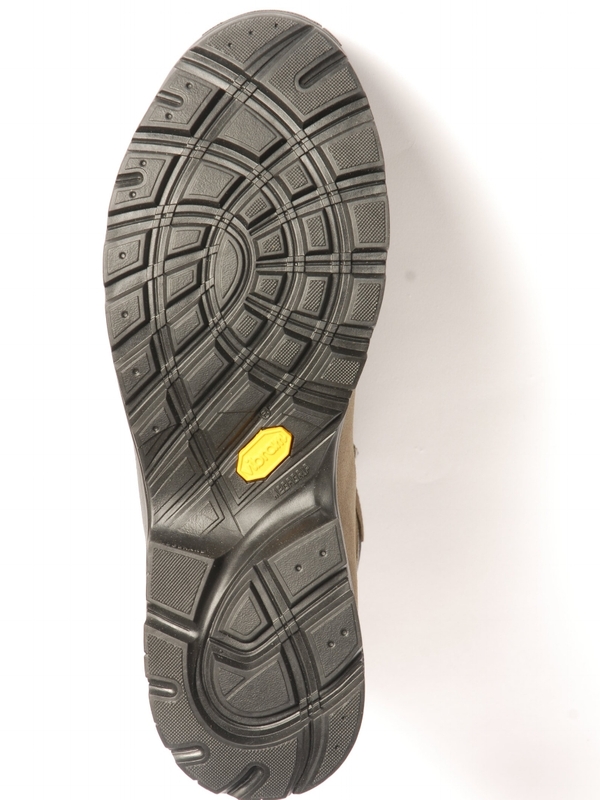 On the most durable designs, this rubber rand extends around the whole of the boot, between the sole and the upper. Well-spaced deep lugs can bite into soft ground without clogging. A deep heel breast – the step between the heel and midfoot area of the sole unit – is vital for providing braking power in descents. This boot is lighter than most others in this category and has a little more flexibility in the ankle cuff and sole unit too, which adds up to this being better than many others here for walking. The upper is made from suede leather, with some synthetic materials in the tongue, there’s a Gore-Tex waterproof lining inside and a full rubber rand on the outside to increase durability. Underfoot, you get a very aggressive sole with a good heel breast and deep lugs. On the foot, this feels great as the ankle cuff and softer sole flex all make walking very comfortable. But the sole has good lateral stiffness too, so it scrambles well on easier rocky routes. The Salewa’s upper is quite soft and flexible, so this forces your foot to work a little harder on more uneven terrain – which may take some getting used to. Stray boulders impacting the top of the foot are more noticeable in this boot compared to one with a stiffer upper. The fabric tongue, and the upper in general, may also wear out sooner on rockier ground than boots with leather in this area or with less stitching. So, for me, this boot is probably best used for general trekking here in the UK or abroad, over a range of path types, rather than too much dedicated use on very rocky ground. An interesting mix of a very good sole unit for mixed path use, as well as a softer and more flexible upper for comfort when walking. New for 2018, this boot replaces the popular Asolo Tribe. First, check out the weight, as this boot is lighter than most at this price point. The upper is made from Perwanger leather, with minimal stitching, and there is a Gore-Tex waterproof lining. There is a rubber rand at the toe and good stiffness in the upper for general hill and mountain walking. The outsole is an Asolo Vibram Duo Radiant design with a very deep heel breast and good sole lugs for softer ground. On the foot, this boot feels noticeably lighter and more dexterous than others, and easier to place on small footholds when scrambling. The toe-to-heel flex is good and this feels good for walking. The toe area is slightly narrower than some, which is great when scrambling, but you may want a little more room here. If I was being picky, I would say some higher-priced boots flex slightly more smoothly across the forefoot area, but this is a tiny difference. 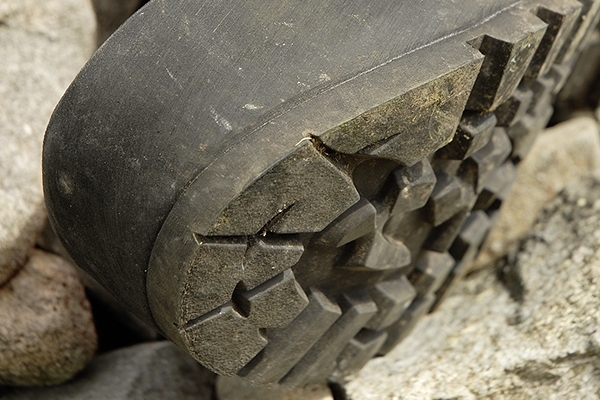 Higher-priced boots do often have a full rubber rand and the upper on some other boots is softer against the foot, too. So, this boot may lose out on overall comfort, and potentially on durability, but it’s a small drawback when you look at the price and weight benefit. For most British hill and mountain walkers I think this offers an excellent package of benefits. 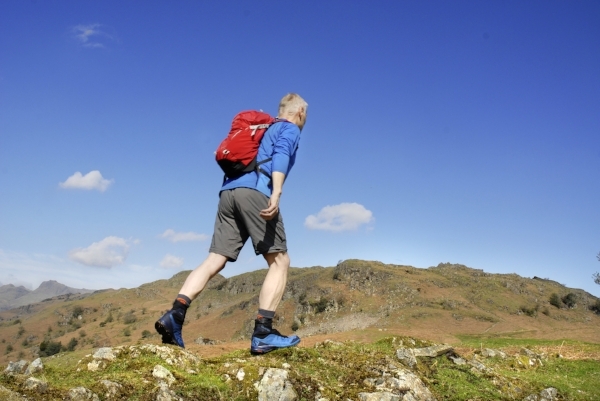 The weight and performance is very good for general hillwalking. So, at this price point, it is a superb option but pay more and there may be additional benefits. 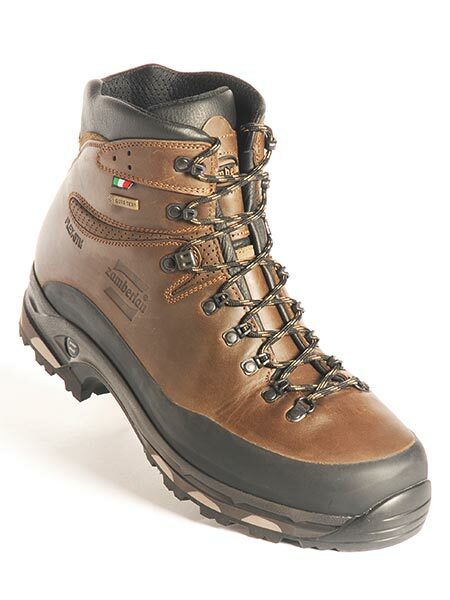 A well-established boot that for has provided the right goods for hillwalking over rougher terrain for some years. The upper is nubuck leather with a Gore-Tex waterproof lining and this is well stiffened for support and protection on rougher rocky ground. A rubber rand at the toe and heel adds further durability. The outsole is Vibram with a good set of deep lugs and a heel breast. On the foot, this has a closer fit around the toe than others and it feels quite good for scrambling. The ankle cuff is a little stiffer than on other boots too, so it feels more supportive on scree slopes. 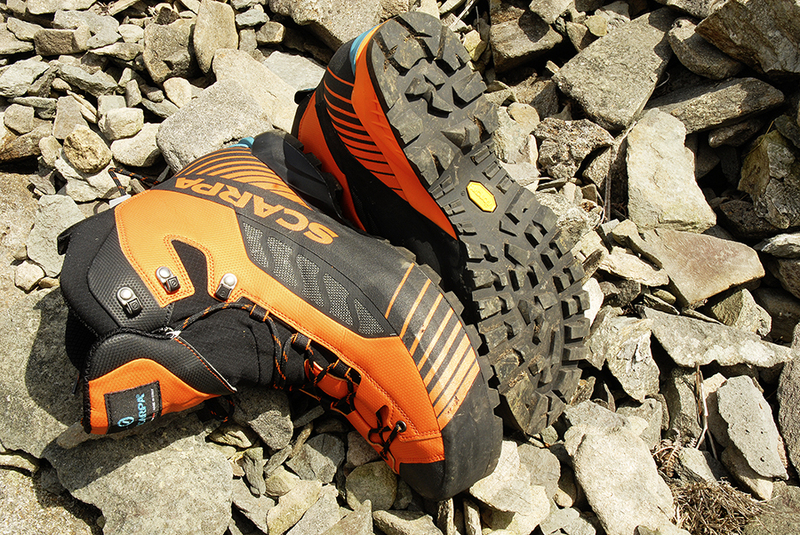 So a good boot for scree and rougher terrain. Some others are lighter, have a slightly smoother roll when walking and feel a little more dexterous when scrambling, giving this a slightly clumpier feel on the foot by comparison. Also the toe area is offering a slightly closer fit around the foot, so some wider-footed people may prefer those with more space in this area particularly for walking rather than scrambling. Some higher-priced models have a full rubber rand and less stitching on the upper, which may promote even more durability for the hardiest of users. Mammut does offer the excellent Trovat Guide High (£219), with a full rubber rand, but also more sole stiffness. All in all, there’s not a lot wrong here, but there are some small details to consider. Solid performance on rock and scree mountain terrain, but lighter and more flexible boots are available. A unique welded upper construction keeps weight down and, potentially, durability up. There is a Gore-Tex waterproof lining and a rubber rand at the toe for durability. 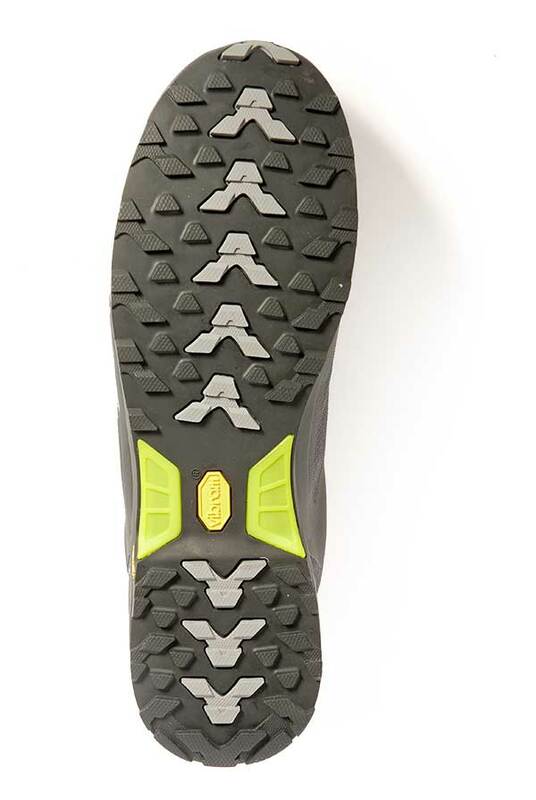 The sole unit is a very stiff Vibram Mulaz unit with very deep lugs and an aggressive heel breast, so this is great for grip in mud and softer terrain. The ankle cuff benefits from an exceptionally soft forward and lateral flex compared to others, which makes walking far more comfortable and scrambling easier. The close-fitting toe area is particularly good for scrambling, as it allows more precise foot placement and, when combined with the stiff sole and easy ankle movement, this is great when used on rocky via ferrata-style terrain. The toe box is a little snug, so broad-footed hillwalkers – or those that just like more wiggle room – may prefer different boots. The outsole is pretty stiff, and while this is great on rockier ground, if you are walking on easier terrain then a more bendy boot will suit you better – with the additional benefit of less weight and a lower price. One slight concern is that the fabric tongue extends to the toe, so this area may be less durable compared to other boots when used on scree and rock regularly. Some people may also prefer a stiffer lateral flex in the ankle area than is offered here. Superb ankle flex, combined with a welded upper, make this boot ideal for rockier scrambles and via ferrata routes. This boot is stiffer than many others in this price range, making it particularly suitable for scrambles and rockier walks. The full-grain leather upper has minimal stitching for maximum durability and there is a Gore-Tex waterproof lining. The sole has good, well-spaced lugs for general walking, as well as a good heel breast for grips during descents. This is a stiff boot, but it still feels great when walking on the level, due to a curvature of the sole that allows a reasonably natural roll from heel to toe – while the ankle cuff flexes forward a little, too. This is superb for walking over typically rocky British mountains and ideal for scrambles, as it feels precise on the foot. The toe is a little neater and closer fitting than on some boots, which is great for scrambling. But those who are more walking-oriented will probably prefer boots with a slightly wider toe area. There is no rubber rand, so those who want maximum durability for very regular jaunts onto rocks and scree may prefer others. These boots are slightly heavier than some others too – due to the extra stiffness. Of course, if you are not tackling rockier ground then boots with a softer ankle cuff and softer sole flex are all you need – with the benefit of less weight, a cheaper price tag and more comfort. Excellent boot for scrambling and rockier terrain, but it has no rubber rand and other boots are slightly better away from the rocks. Built around a low-volume last for a closer fit, the Trek has a 1.8mm nubuck leather upper with minimal stitching on the outside to improve durability as well as a Gore-Tex waterproof lining inside to maintain dry feet. You get a rubber rand that fully encloses the boot, too. The sole is a Vibram Biometric Fly unit with deep, well-spaced lugs and a good heel breast. The sole flex between toe and heel is good for rockier ground, and the sole also resists pressure from jagged rocks well. We also liked the slightly more precise fit on this boot around the toe – it made scrambling a little easier and neater when placing the foot. This is not the lightest model around, so if you don’t need all that durability and stiffness you can definitely get lighter boots. Also, if you are not going to be heading onto rocky ground regularly you could choose a boot without a rubber rand, which would be lower in price and lighter. As with any boot that is stiff enough for rocky ground, if you walk on moors or paths then you will find boots with a softer flex more comfortable, of course, until you hit the rocks. So, something like a Scarpa Ranger at £180 may be all you need if you plan on backpacking over paths, rather than regularly clambering over rocks. An excellent general-purpose hill and mountain trekking, and scrambling, boot that is great for regular use on rockier terrain. This boot has remained the same price for a couple of years now, which is impressive in the current climate. Equally impressive is the weight when you realise what you are getting. This boot has a nubuck leather upper, without much stitching, so durability is good. But you also get a full rubber rand for even more abrasion resistance and, inside, you get a Sympatex waterproof lining to ensure dry feet. The sole is a Vibram Masai unit with good lugs for grip. There is a nice rolling action on the foot, making easier ground comfortable, but also plenty of stiffness for rockier ground. This is great for tackling rockier routes on Lakeland fells, Scottish Munros and Welsh 3000ers. There is no women’s version,of this boot, but it does come in a good size range, from 4 to 14. While this boot does roll exceptionally well with the foot, from toe to heel, and the toe box is very spacious, it doesn’t feel quite as neat and precise as others might when scrambling over rock. So, if you’re planning to do a lot,of scrambling, these boots may not be,your best bet. While this is a relatively lightweight model, you could go for an,even lighter boot if you don’t really need the impressive stiffness and durability on offer here – and this would save you cash at the checkout, too. Superb for general mountain walking over rockier ground with an excellent heel to toe rolling action, but others are more precise on scrambles. The Bhutan is a popular boot that replaced the classic Meindl Burma back in 2014. It is a very solid boot with a little more stiffness in the sole than some lower-priced options, making it better for rockier ground. The upper features nubuck leather, with Gore-Tex waterproof protection, and there is lots of padding inside for more comfort against the foot. A full rubber rand provides even more protection on scree and rockier routes. Underfoot, a Vibram sole, with deep lugs, and a good heel breast help keep a decent grip. 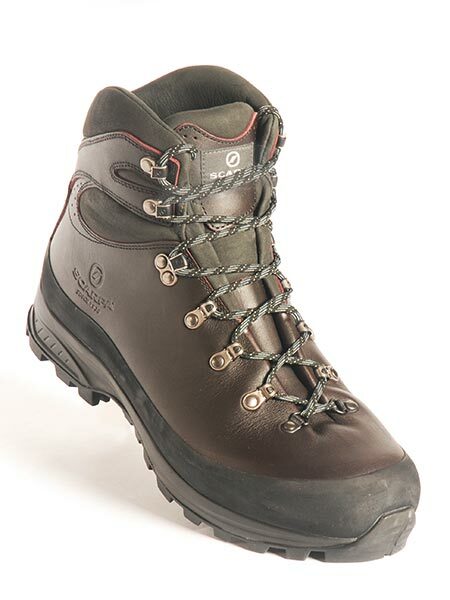 This is a well-proven and very popular boot for regular trips to rockier British mountains. This boot is heavier than other others in this category and it also feels a little less precise and neat on the foot – so, when scrambling over rocks, it feels a bit more clumpy, in general, than some of its competitors. There is also slightly more stiffness in the sole than in other boots, here – which is great on rockier ground but, obviously, if you are tramping across moorland or sticking to well-trodden paths for the most part, a boot with a softer flex will provide all your needs. It would also give the benefit of less weight on the foot and be quite a bit cheaper. It’s still a great boot, but there are other models that are starting to show some desirable benefits. A popular boot for regular jaunts over rockier ground – but new trends towards lightness and dexterity are starting to challenge its dominance. Boot design is changing rapidly, with lower weights the norm and ankle cuff design becoming more and more flexible. The Bora Mid GTX pushes the term ‘lightweight’ to new levels, with this super-light boot. Inside, your foot sits within a Gore-Tex sock which is fixed to the outer shell, while the outside is made of synthetic PU-coated materials and features a rubber rand. The sole features Vibram for grip and the result is unparalleled forward flex and dexterity underfoot, but with the sort of performance you’d expect from, say, a boot priced at £175 or above. Very impressive. The outer is also very durable as there is no stitching, and the mesh and PU-coated materials feel very durable. The toe box and sole flex are softer than other 3-season boots in this price band – and the sole flexes when standing on jagged rocks, so comfort is not ideal on rock. But the lateral stiffness is good, so it’s useful when scrambling. Compared to other boots, it doesn’t have the deepest sole lugs or most pronounced heel breast. Then there is that Gore-Tex sock liner – it is too early to say how durable it will prove to be, so the jury is out on that for the moment. Water can get between the liner and the shell easily, which feels cold, but it does pump out while walking. The price is painfully high though. The low weight, flexible ankle cuff and durable outer shell are major benefits, but the price and potential durability of the sock liner are concerns. The ankle cuff helps prevent mud, snow and grit from entering the boot. It also protects the ankle against being scraped by rocks. The stiffness in the ankle cuff reduces the strain on the ankle when traversing slopes, by adding extra support, which makes it less tiring and easier to get a stable foothold, particularly on lower slopes. Grab the boot by the toe and heel and bend the toe towards the heel, then twist the toe while holding the heel stationary. The harder it is to bend the boot in these two directions, the better the boot will perform on snow and ice and be compatible with crampons. A 4-season boot will be almost totally rigid, a 3-season boot will be very bendy and a 3- 4-season boot will be somewhere between these extremes. Deep, widely spaced lugs will bite into snow without clogging, while also providing many years of wear before they are too shallow to give a good grip. As these boots are destined for the particularly challenging conditions of winter, they need to be durable, so look for uppers with minimal stitching and a rubber rand at the toe box. For maximum durability, look for a rubber rand that encloses the whole boot. No boot is worth having if it does not fit. The inside of the boot should be 13-15mm longer than your foot, which you can gauge by putting on the boot without the laces tightened up and then placing your forefinger down the inside of the boot at the heel. Better outdoor stores will measure your feet. The upper should be snug and comfortable across the foot. The 4-season boot is rated as B2, which means it is compatible with a C2 rated crampon (stiffer than a C1 crampon used with 3-4-season boots). To make it easier to fit crampons, 4-season boots may have a ledge at the heel that allows crampons with heel clips to be fitted. These are easier and quicker to fit than strap-on crampons, which is important in very cold conditions. IT'S GOOD Compared to other 4-season boots, the price and weight are instantly more appealing. The upper is made with a mix of velour leather and synthetic textiles, with lots of stitching, but there is a full rubber rand for more durability and a Gore-Tex waterproof lining. The outsole is Vibram, with a good set of deep, well-spaced lugs. There is slightly more flex in the sole and ankle cuff than some boots, making this better for easier ground than pure mountaineering designs. The toe area feels reasonably precise for scrambling, but you also get a wider forefoot area, which makes this better for more general use. Better than most at this price. HOWEVER The complex upper may be less durable than simpler designs with less stitching, although this will only be an issue for the hardest of mountain users. While this has a good weight, it does not feel quite as precise underfoot when scrambling as some heavier boots, which is due to it having more padding and a less precise fit to the upper, compared to others. As there is slightly more flex in the upper and sole than some designs, your foot has to work a little harder when traversing slopes or negotiating scrambles, so again this points this boot more toward general use than high grade mountaineering. VERDICT A very good all-round boot with a good weight and price that should be ideal for many, unless you really cannot live without specific benefits. IT'S GOOD The weight and price set this apart from other 4-season boots, but also you get some important performance benefits. Firstly, the upper does not have too many layers of material, with large panels of suede leather and synthetic Schoeller materials in use, while a full rubber rand adds further durability benefits. There is a Gore-Tex waterproof lining too. The outsole is a very aggressive Vibram unit with deep, widely spaced lugs and a good heel breast. This has a good general fit. The toe is slightly narrowed, to improve performance when scrambling over rock. The ankle cuff gently flexes to allow easier walking but it remains supportive. The outsole has a good rolling action. HOWEVER The foot does sit slightly higher from the ground than some higher priced designs, which means this does not feel quite as stable and precise on rockier ground, although this is probably only an issue for those needing the ultimate in performance. The synthetic materials around the ankle cuff may be less durable than other boots. If you want an out-and-out mountaineering design, then others are slightly better, and you can get a lighter mountaineering design if you have more cash. Hard to fault for general mountain walking in winter conditions, though. VERDICT Unless you need the absolute best performance, then this is a superbly priced boot for general winter mountain use, which is very difficult to improve upon. IT'S GOOD The weight and the price tag are both great and, for this, you get an upper that is primarily made from Hydrobloc Perwanger leather, with Cordura nylon in the tongue and ankle cuff areas. There is a Gore-Tex waterproof lining inside and a rubber rand at the toe and heel. 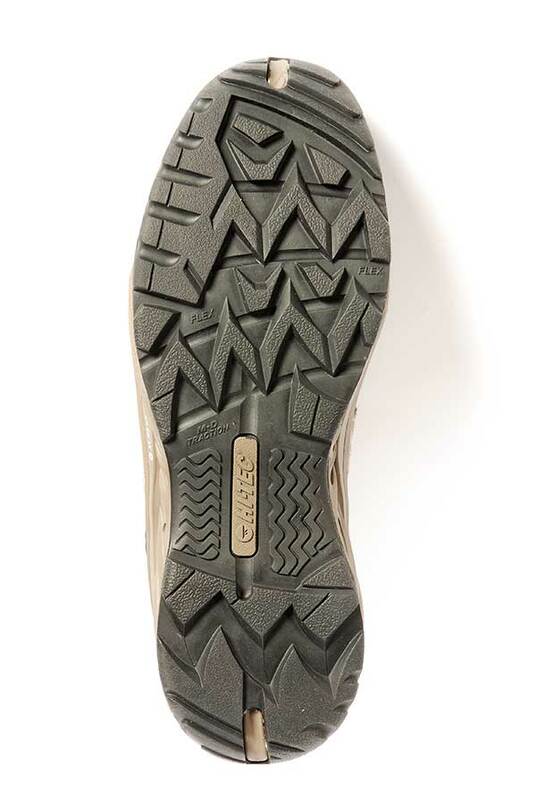 The Vibram outsole has well-spaced lugs and a good heel breast. On the foot, the upper is noticeably stiffer than some, particularly around the ankle cuff, which is great for more uneven ground when more support is of benefit. The toe box is spacious and good for general mountain use. Overall, a good all-round performance. HOWEVER There is no women’s version of this boot. Also, the fit does feel less precise and neat on the foot, compared to higher-priced designs. 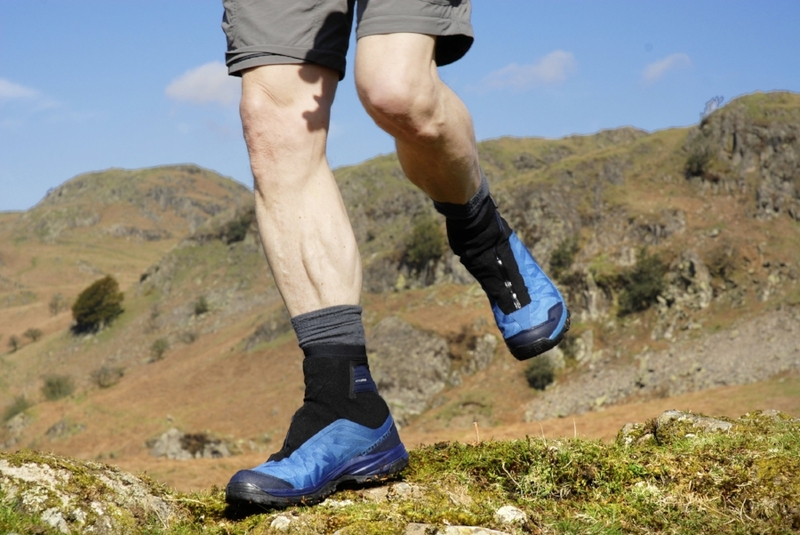 While the stiffness on the ankle cuff, in particular, is a benefit on really rough ground due to its increased support, there is a less comfortable forward flex in the ankle cuff, which means this is not the best for comfort when walking on level ground. In terms of the sole, the lugs are not as deep as others, so this does not quite have the best grip on soft ground or snow when not wearing crampons. Others with a more narrow toe are also better for more precise climbing or mountaineering. Others get a full rubber rand for harder use. VERDICT A good price and weight for a general use mountain boot, but others are better for more natural walking on level ground and for climbing on more technical ground. IT'S GOOD An appealing price tag and weight compared to other 4-season boots. The upper is made from Cordura synthetic textiles with leather overlays and a Gore-Tex waterproof lining as well as a full rubber rand for durability. The outsole is a Vibram Climbing II unit with well-spaced lugs that are slightly more shallow than some designs and there is a smooth climbing zone under the toe. The ankle cuff is slightly softer than some others for more comfort. On the foot this feels slightly more spacious than some designs, so good for general users and also the upper is slightly softer so again great for general use. Walking is reasonably natural in this boot although others have a slightly smooth rolling action from the sole. HOWEVER The outsole lugs are not the deepest, making this good for rocky ground, as you get a more precise feel from more shallow lugs, but less good on softer ground or snow, as the grip is not so great without crampons. The upper is softer throughout than others, which is great for use on easier ground, but this means it lacks a little support for more technical ground or traversing slopes. I do find that the tongue area is less well padded, so I had to be a little more careful with the lacing to prevent creating a firm spot on the top of my foot, something I did not have to be so careful about with other boots. VERDICT A relatively low priced and relatively low weight boot that is good for general use. IT'S GOOD The upper is stiff and supportive and made from a nylon fabric with some small areas of suede leather and a full rubber rand for extra durability. There is a Gore-Tex waterproof lining on the inside. The outsole is a Vibram Curcuma unit, with deep and widely spaced lugs. This provides a good general fit, being neither too narrow nor too wide. The upper and ankle cuff are stiff and supportive, so again, great for general use. Toe flex is smooth and the ankle cuff flexed forward nicely to allow a reasonably natural walking for this category of boot. It is also pretty lightweight compared to other 4-season boots. The price is slightly less than some too. HOWEVER The good overall performance and features of this boot are let down by there not being a women’s specific option, but at least the unisex size range does extend down to size 5, so some women may find this boot does fit them. The upper is made from nylon, rather than a thicker and more durable leather, so really hard users may want to consider other models. While great for general mountain use, others are better for more the precise footwork needed for more technical climbing or scrambling on harder grades of rock. Some boots have a little more padding and softer flex at the ankle cuff for more comfort, if that is your priority. VERDICT A great all-round mountain boot with a good weight and price to suit general users, but specific benefits are available in other boots. IT'S GOOD This eye-catching design uses suede leather on the upper, with synthetic materials around the ankle cuff, as well as a Gore-Tex waterproof lining and a full rubber rand. The ankle cuff is lower than others and also more flexible. Underfoot, you get a Vibram sole unit with very deep lugs for biting into soft snow and there is a smooth climbing zone under the big toe for scrambling. To ensure a good fit, this boot comes with a choice of footbeds to manage the volume. On the foot, the toe feels slightly narrow and lower in volume than some, but it widens at the forefoot and the ankle cuff is very flexible in the forward flex when walking, as well as laterally. HOWEVER This is not available in a women’s specific size range. The ankle cuff is so flexible that this means your foot has to work harder on more uneven ground, as you are not getting the support from the boot, so this makes this more of a walking than a mountaineering design for me. But then, the narrow toe means it is not quite as comfortable as other more walking-orientated designs, but also it is not the most precise for scrambling either. So, overall this is great for walking over level snow and glaciers, but on ground when you need more support from the ankle cuff, or precision at the toe, it is not quite the best. VERDICT An unusual mix of features with the benefit of a more flexible ankle cuff and deep sole lugs that are great for walking over snow-covered mountains. IT'S GOOD This is exceptionally lightweight for a 4-season boot, at just 1692g (size 46). It also features a unique seamless upper construction of abrasion-resistant nylon and a thermoplastic covering. Inside, you get Gore-Tex for waterproofness and there is a full rubber rand on the outside. The tongue is a softer and more flexible synthetic material, but overall this upper is very durable in design. The outsole is a unique Vibram Cube unit, with deep, widely spaced lugs, with a smooth climbing zone under the big toe. The fit is narrow and neat and, when combined with the low weight, this boot is ideal for scrambling and more technical ground, as well as walking in general. HOWEVER There are no women’s specific fit options here and the size range is relatively small. The fit is narrower than some, too, which may hinder those with wider feet. Also, the ankle cuff is lower and has less forward flex, which means walking is not quite so comfortable. There is also a little less cushioning around the foot in general compared to some, so this does not feel quite as comfortable as others in general. It’s not uncomfortable, it is just that others are more comfy. The price is still quite high compared to some options, but if you want that low weight, then these are the drawbacks you have to consider. VERDICT A very lightweight and durable boot, that is ideal for technical ground, but walkers may prefer the extra comfort on offer elsewhere. IT'S GOOD The upper is a mix of leather and synthetic materials, with a Gore-Tex waterproof lining on the inside and a high rubber rand on the outside for extra durability. This boot has a double tongue design, for more comfort around the top of the foot and at the top of the ankle cuff a small additional elasticated cuff to lock out debris. The outsole is a Vibram unit with good well-spaced deep lugs and a substantial heelbreast. There is a little more volume around the foot than some others, to suit chunkier feet, and there is also more cushioning around the foot too, particularly under that double tongue. So, in terms of comfort this has a slight edge over some other designs. HOWEVER While this has a good weight, it feels slightly less precise on the foot, and slightly clumpy, which is not an issue for general walking, but is noticeable when more precise footwork is needed, such as when walking or scrambling over more uneven rocky ground with crampons. While this has a good weight, you can get even lighter designs and some boots have a lower price tag, but of course those boots may not have the extra comfort and space around the foot offered here. It is possible that boots with less layers of material and less stitching will be more durable on the feet of really hard users. VERDICT A great boot for mountain walks if you prefer a more spacious fit and more cushioning but it does feel slightly less precise on rocky steps. IT'S GOOD Setting the standard of 4-season boots for British mountain use, the Manta Pro has a Gore-Tex waterproof lining that is protected by a stiff leather upper, with additional synthetic materials and a rubber rand. The ankle cuff is particularly comfortable and allows forward flex to allow easier walking, yet it still maintains lateral support. The Vibram sole has deep well-spaced lugs and a heel breast and, while it is fully stiffened, it also provides a reasonable forward roll for this class of boot, to make walking below the snow possible. The forefoot and toe area is slightly wider than some, more climbing-orientated, designs and this makes it great for general walking over snow and glaciers. HOWEVER If you are looking for a boot for mountaineering, where lots of precise toe placement is needed, then others are slightly better, owing to them having a more narrow toe, that allows more accurate placement of this area onto smaller footholds while climbing. In an ideal world, a little fewer layers of material and less stitching may be more durable for really hard users. Other boots are also slightly lighter but of course they may have additional drawbacks. Then there is the price tag, which is more than most but, on the bright side, the price has remained the same over the past couple of years. VERDICT For regular mountain walks in snow and ice the Manta Pro GTX remains the first choice but others do have benefits in more climbing focused situations. Some of the best mountain adventures come underfoot when you step off the well-worn footpath and tackle rockier ridges head on. In Alpine regions getting to the foot of crags often includes crossing glaciers or other large expanses of relatively level snow and ice, and it’s this mix of terrain that Hanwag’s Makra Combi is designed for. Equally this type of terrain can be found throughout Britain’s highest mountain regions when the snow arrives in winter. So does this make Hanwag’s Makra Combi a good choice for those heading onto more adventurous British mountain walks and scrambles? The European Alpine styling of the boot is produced with an upper made from suede, as well as a very durable Cordura synthetic material with a Gore-Tex waterproof lining inside. A high rubber rand encloses the boot for even more durability on rockier ground. Underfoot you get a Vibram Pepe sole unit with well-spaced lugs – wider at the toe – for better control when scrambling or climbing on smaller holds. The boot is stiff enough to be used with C1 flexible crampons, for crossing fairly level snow or glaciers. The boot is built on Hanwag’s Alpine Wide Last and has a slightly broader forefoot than some other boots of this style, which will be welcomed by anyone who has found other Alpine styles too narrow. On the foot, the fit did feel nice and precise with the big toe area feeling neat to allow more accurate placement on small footholds. Walking along the flat there is a noticeably smooth roll from heel to toe, with a slight rocking action at the flex point, and some good cushioning, which all helps to make a walk-in to the crags easy going. Stepping off the path is what this boot is about, though, and that’s where its credentials begin to show themselves. The stiffness in the sole and upper make the transition from made path to scree path very stable underfoot and you can use the stiff edges and the stiff toe to get a really solid foothold on larger rocks. I could flat foot my way up the bigger slabs in a very secure way, as there is just enough flex in the forefoot to make this comfortable. 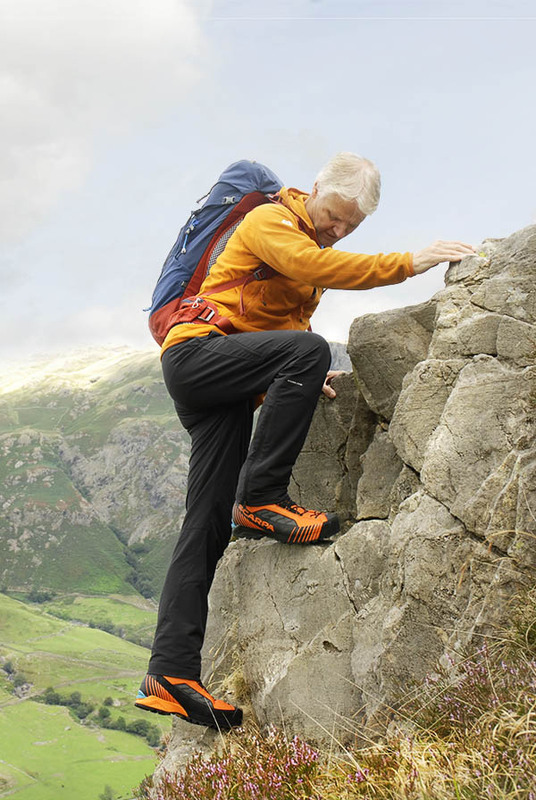 Getting onto steeper rock, this boot performs at its best – with the stiffness and feel around the toe making it great for securely scrambling along rocky ribs. It does not feel too clumpy, nor is it too bendy, so overall it feels about right for scrambling. I have used boots with a little more feel under the forefoot but they tend to have less cushioning underfoot or are slightly stiffer, which makes them less suitable for walking on level ground. Like many more scrambling orientated designs, the sole lugs and heel breast are not quite as deep as walking boots, as you need that closer feel to the rock when scrambling. This does mean the boot is not quite as secure as a pure bog-trotting rambling boot on muddy grass slopes. But you can't have everything in one boot and this is a compromise worth making if you’re heading onto rockier ground. This boot does not feel particularly heavy and is light enough for scrambling along rocky ground. It tips the scales at 1562g for a size 11 pair, which is very respectable, compared to others. Some heavier boots have deeper sole lugs and a stiffer upper, making them more suitable for more challenging terrain. But for those needing a boot for scrambling I’d say the Makra Combi is a good weight. The price may sound steep at first glance, but it’s within a similar range of other boots with its design and performance credentials. So clearly while this is not a budget option it sits well alongside other market leaders. 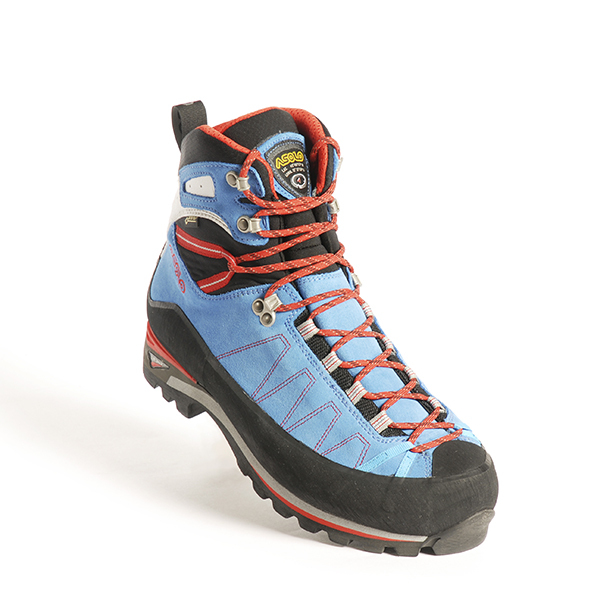 Excellent boot for its intended use of tackling scrambles, via ferrata and other rocky ridges, with the capacity to be fitted with flexible crampons for glacier travel and sections of level snow. 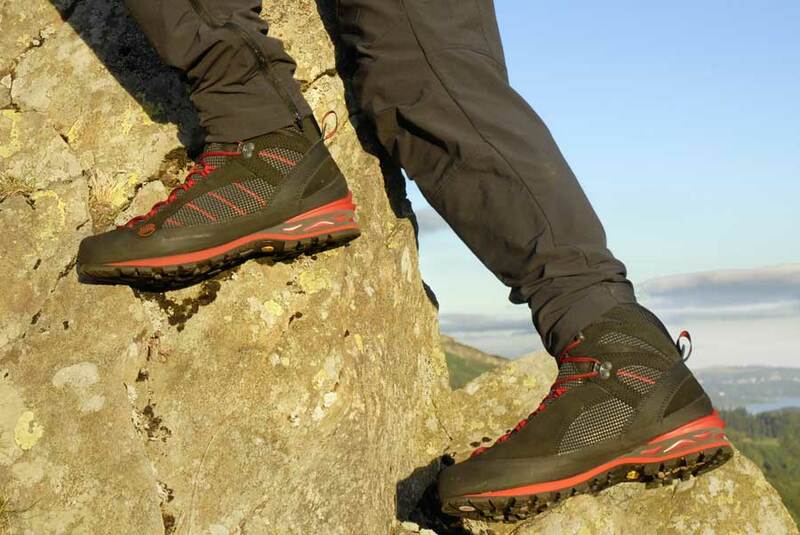 Other boots are better for easier terrain, but of course they cannot offer the performance of the Makra Combi on rock. This is a stunning boot for anyone tackling more challenging winter mountain terrain and looking for performance, weight and price advantages. The Asolo Alta Via GV is a good very stiff higher-altitude mountaineering boot, but it is more than winter walkers need. The Scarpa Manta Pro is the benchmark B2-rated 4-season boot for use in a wide range of typical British winter walking and mountaineering conditions. 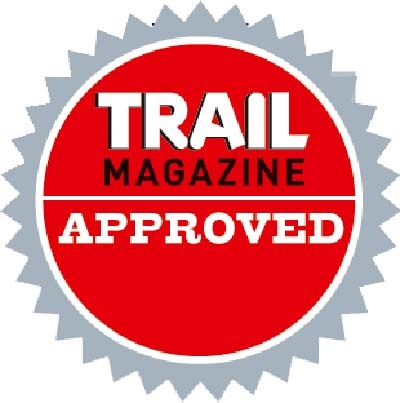 It won Trail’s ‘Best in Test’ accolade. The Meindl Jorasse GTX is a superb general winter hillwalking boot that is lighter than some, but also very slightly less precise during foot placement. The La Sportiva Trango Cube GTX is a men’s lightweight boot that is ideal for more technical ground, but others have smoother flex and comfort for walking. If you want a good men’s general mountaineering boot for use high on the mountains with crampons the AKU Terrealte GTX is great. The Salewa Raven 2 GTX challenges higher-priced boots, but it is not the most supportive or durable and may not suit all general winter walkers.